Can I put copy here? Produced and arranged by Hugh O’Neill and Nick Dimes. Co-produced and mixed by Wes Maebe, The Sonic Cuisine at GHQ, London. Mastered by Christian Wright, Abbey Road Studios. 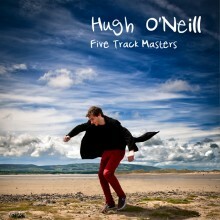 All tracks recorded at Hugh’s O'Neill's studio. Drums and Bass recorded by Allan Cooke & Kevin Lowrey at Eden Vella Studios, Kinlough, Leitrim, Ireland. © 2019 Absolute Music Management. All Rights Reserved.